The Wellington Art Society will present its 10th Annual Art Fest on the Green at the Wellington Amphitheater on Saturday, January 30th and Sunday, January 31st. 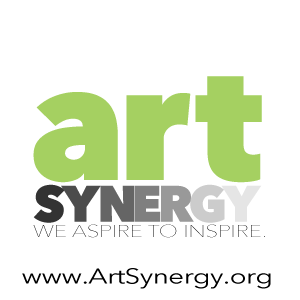 Art Fest is a juried celebration of art, life, and bringing art and community together in a beautiful outdoor setting. The Rickie Report shares the details and urges you to stop by to meet emerging as well as professionally established nationally recognized artists. Live music, food trucks, Green Market on Saturday, Youth Art Area, a chance to meet the artists – who could ask for more? Free admission and free parking, easily walkable outdoor fine art and fine craft fair! The Wellington Art Society will present its 10th Annual Art Fest on the Green at the Wellington Amphitheater at 12100 W. Forest Hill Blvd., Wellington on Saturday, January 30th from 9 a.m. to 5 p.m. and Sunday, January 31st from 10 a.m. to 4 p.m. Art Fest is a celebration of art, life, and bringing art and community together in a beautiful outdoor setting. The juried fine art and craft show will feature artists from around the country showing unique designs across multiple mediums, including painting, sculpture, pottery, jewelry, textiles, photography and more. The goal is to bring art and community together. Art Fest gives the community an opportunity to interact with the artists, learn more about their creative processes, different mediums and techniques, and learn about the artists’ lives. This year’s judge will be Ted Matz, who is an educator, artist and highly regarded art judge. Several artists will be working on site and the 50 fine artists participating in the festival were selected for their creativity, mastery of the technique and level of excellence. The four co-chairs for Art Fest, Leslie Pfeiffer, Adrianne Hetherington, Faye Ford, President Sandy Axelrod and WAS Volunteers will be on hand to assist visitors as they navigate through a children’s art activity area where art can be created, shared and taken home. Volunteers will be available to help visitors through the fine art selection by professional and emerging artists from across the country displaying their original artwork. With a wide variety of original art for sale there is something for everyone in this Show. What a fantastic opportunity to take home an original work of art and have a great story to share about the artist. Live acoustic music will be performed by Bobby G. and his friends during Show hours. Food Trucks will be on site offering a delicious variety of food. On Saturday, the Green Market at Wellington will be adjacent to the Art Show adding more flavors to the fun. The 100 members of the Wellington Art Society, founded in 1981, represent a wide variety of mediums and experience. The group is open to artists of all mediums and patrons of the arts, providing both local and regional artists a platform to share their work, learn more about their craft, and serve the community through their art. The proceeds from Art Fest help finance the Wellington Art Society’s long standing Scholarship Program. Artists Of Palm Beach County‘s Art On Park Gallery announces “The Best Of The Best Exhibit 2016“. The Opening Reception takes place on Friday, January 8th from 5 – 8 pm and is free to attend. The Rickie Report shares the information and urges you to stop by, as the Exhibit continues through February 13th. Artists of Palm Beach County is offering a Free Admission Pass for 2 to ArtPalmBeach2016. Stop by the gallery for details. Check out Calligraphy classes, Jewelry making classes, a special Mail Art Workshop (free) and the Back Alley Art Festival! APBC Art on Park is a gallery of local artists of all disciplines, bringing you original art in a variety of mediums and price points. In addition, classes are offered as well as free workshops. Get your GROUPON by visiting the website below. Italic Calligraphy Classes at Art on Park Gallery ! Make your own Jewelry! On Tuesdays! Join us for a day of special events, classes, demonstrations and more! 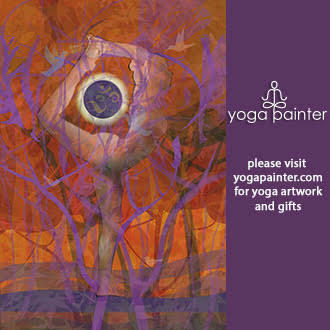 10% off all items purchased at Art on Park Gallery. Walk the Alley behind Brewhouse, Art on Park and Easel Art Supply. Artists of Palm Beach County announces two free Saturday events at the Art on Park Gallery plus a Call To Emerging Artists. On Saturday, May 9th, Norman Berman will present “The Metamorphosis of a Painting” with slides and discussion. On Saturday, May 16th, Jeff Lucas will present “Improve My Art – Critique Session, Everyone is a Critic!” Participants are invited to bring up to three pieces of art and receive constructive feedback in a friendly atmosphere. The Rickie Report shares the details and urges EMERGING ARTISTS of 2D and 3D work to apply for the next Exhibit (Deadline is May 13th)! We want to remind ART LOVERS that this Gallery is a treasure trove of hand crafted glass, watercolors, original collages, hand crafted jewelry, original photography, oil paintings and acrylic paintings as well as pastels. Many of the artists calling Art on Park “home” sell nationally and internationally. Stop by! “Florida The Beautiful, 2015″ runs until May 16th. An exhibit to showcase the Environmental Beauty of Florida to benefit the Sierra Club Loxahatchee Group. 15% of sales will be donated. On Saturday, May 9th from 2:00 to 4:00 pm the Artists of Palm Beach County (APBC) is proud to present a talk and slide presentation by award winning artist and executive board member, Norman Berman. The event entitled “The Metamorphosis of a Painting” will take place at the Art on Park Gallery, 800 Park Avenue, Lake Park, Florida. Norman has been a member of APBC for over 4 years and has exhibited widely in Palm Beach County. In November of 2013 his “One-Man Show” at the Armory Art Center in West Palm Beach was met with much acclaim. A retired New York City teacher and supervisor/administrator, Norman exhibited in the New York City area before his move to Florida in 2003. His talk will describe how he creates a painting from start to finish and will be supplemented with a series of slides showing the progress of his work. Norman will be exhibiting at a SOLO show at the Weisman Center, Delray Beach at the end of May. On Saturday, May 16 from 1:00 to 3:00 pm Art on Park Gallery resident artist, Jeff Lucas, will present “Improve My Art – Critique Session, Everyone is a Critic!” Participants are invited to bring up to three pieces of art and receive constructive feedback in a friendly atmosphere. Jeff will guide the discussion as the group reviews each piece and learns more about how to look at one’s art with fresh eyes. 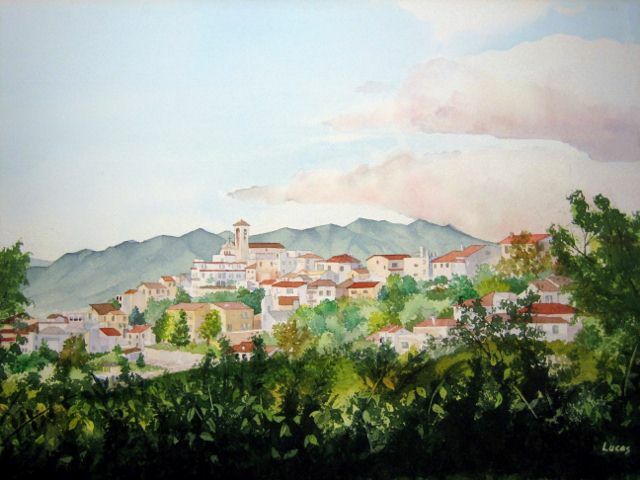 Jeff, who has taught watercolor classes in the past, is best known for his exquisite watercolors, which can be seen in the gallery. Art venues in Jupiter, Tequesta, Palm Beach Gardens and Lake Park are opening their doors to residents and visitors, as ArtPalmBeach and Art Synergy’s ARTWEEK 2015 swing into action. The Rickie Report shares a brief overview of the events everyone can participate in at no charge! Sheree Blum started selling her unique fused glass plates at the Green Market in Wellington only a few short years ago. She used that experience to learn more about marketing and selling her work. Anthropologie’s order of over 4,000 plates sold in the US and the UK is history. Recently showcased in People Magazine and Epicurious Magazine, Sheree has a lot of information to share with other artists. Watch for her new line of cake stands for the 2014 Holiday Season in Anthropologie! The Rickie Report presents this Feature Article and interview with Sheree Blum of Kicking Glass. TRR: How did your childhood influence your interest in art? I grew up in a rural area of New York State, near the Pennsylvania border and am the oldest of 6 children. My father showed his gifted artistry through his masonry work and my mother was busy with art projects, like ceramics, on a regular basis. At that time in the US educational system, art played a very large part not only in the classroom, but in our community. You at least had to try something, whether you liked it or not! I enjoyed those activities but moved on to married life at 18 and then started a family. Being a mother to my three children was my priority until I went to college at age 27. I was lucky to attend Jamestown Community College and then St. Bonaventure University, where they provided a nurturing day care setting while I had my classes. I graduated with a degree in Elementary Education. In 1990, I moved with my children to Wellington, FL. and starting working in Belle Glade. I decided to get my Masters degree in Special Education at FAU and worked in the Pahokee Elementary School in Special Education. I also worked within the school setting of the Dept. of Juvenile Justice, with a focus on academics. I retired just two years ago. TRR: How did that lead you to a career in art and specifically glass? I always used art projects to teach and enhance the learning environment. I found it helped keep my students’ attention and increase their interest in education. During my teaching career, I met the owners of Lee Glass Art, Wayne Taylor and Sheldon Bickford in Mt. Dora Florida. Always fascinated by color, I convinced them to let me apprentice! I went to Winter Harbor, Maine during my summer breaks to train in their method. If I were a wealthy person, I always said I would own a million dishes! I love the blending of science, experimentation and art when I work with glass. And now that I had a lot of dishes, I decided to practice my salesmanship by being a vendor at the Wellington Green Market! That is when a buyer from Anthropologie saw my work. He bought some pieces, but I had no idea who he was until several months later when I received a call from their tabletop buyer. The lady that was with him did whisper in my ear that this was my lucky day, but I had no idea what this meant. I learned a lot! About pricing, figuring out my timing, how to box and ship everything safely. 4,000 dishes were sold throughout the US and United Kingdom in a few months! I applied and was accepted to be part of Howard Alan’s Crafts Shows and was able to continue making new pieces, experimenting with new techniques and selling to the public. At this time, I am a resident artist at Art on Park Gallery, the home of the Artists of Palm Beach County; OSGS in Northwood (West Palm Beach) and Kolbo Gallery of Judaica in Brookline, MA. I enjoy making apple and honey plates for Rosh Hashanah and Seder Plates for Passover for their catalogue. In addition, the Iriquois Hotel on Mackinaw Island ordered special dishes they use for service and also sell in their gift shop. It’s been a real treat for me to see my creations highlighted by being mentioned and shown in Jennie Garth’s Tabletop Decor column, People Magazine (April 14, 2014) and a full page presentation in Epicurious Magazine’s Spring/Summer,2014 (page 52)! I just found out that my dishes are now listed with Replacements,Ltd. as well! TRR: What are your favorite as well as challenging moments? There is nothing like the excitement I feel when I am creating! And I love meeting the people at the shows, knowing I am sending my creations out to new homes where they will be appreciated. The most challenging part of being a full time professional artist is marketing and selling one’s work. But you have to do it in order to keep creating! TRR: Do you have any helpful hints for emerging artists? Be brave! Have a business plan – do your math. Don’t just jump off the building without Plan A, Plan B and maybe even Plan C! Don’t hesitate to take risks. Be professional in your demeanor and behavior at all times. Do your homework – how many dishes fit into the box safely? Where do you get the boxes? Don’t forget the paper slips in between each dish. Everything you use counts, is necessary and adds to your price. Consider your price ranges and whether you want to sell retail, wholesale or both. Be consistent and ask for what your artwork is worth! I hope that other artists also consider helping the community by making some donations. I recently sent seven sets of dishes to families who lost everything from tornado damage in MS.
TRR: What story does your art tell? I bring bright color into people’s everyday world. It may not seem important in the grand scheme of things, but I hope that these dishes will conjure up happy memories and become family heirlooms. This is a quieter voice than the one I used when I was teaching, but I believe it is the same message. Ordinary objects can imbue happiness. TRR: Please take us from the beginning of an idea to a finished piece of work. I usually start with a big idea. For example, I wanted to create some glass pieces with an ocean feel and incorporate coral reefs. I find designs that meet the criterion – they could come from a piece of fabric, a photo or other objects. My idea begins to solidify. Then I decide on colors and move forward with a prototype to test out my theory. Does it meet my standards? If not, it becomes a salad dish at my house. If it does, I make more! Sometimes the need to meet the requirements of the marketplace influence my work – otherwise I wouldn’t have a thriving business! And then, there are pieces I just feel I have to try…to meet my own needs. TRR: How do you maintain your level of creativity? I let my mine wander. I dabble in watercolors and enjoy playing Scrabble. TRR: How do you define success? Success has nothing to do with money! You are successful if you are happy and satisfied at the end of the day. Her work is currently located at Artists of Palm Beach County’s Art on Park Gallery ( Lake Park,FL), OSGS in Northwood (W.Palm Beach, FL), Kolbo Gallery (Brookline, MA) and Iriquois Hotel (Mackinaw Island). Sheree is available for special orders and commissions.